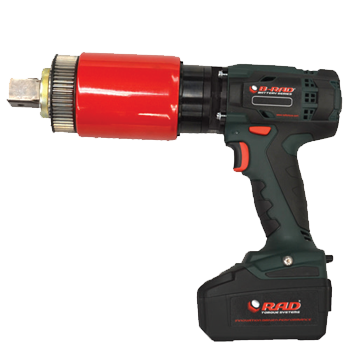 Available in several configurations to suit multiple applications the Battery Series of tools offer the perfect mobile solution to controlled bolting. 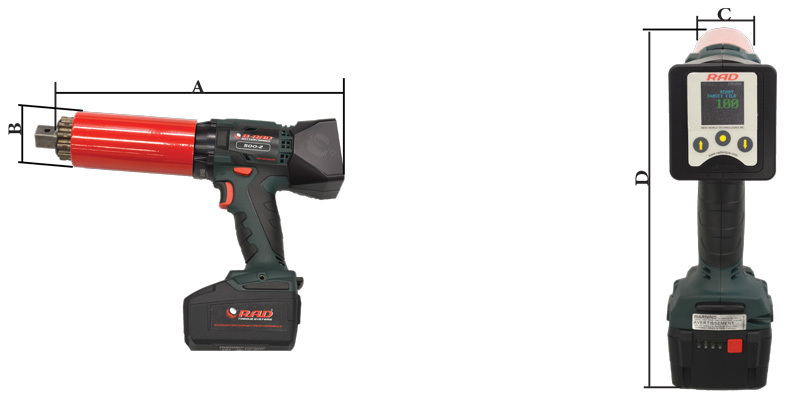 There are two options in the Battery Series of tools, the manual B-RAD Select which enables the user to manually select the torque required in steps of 10ft.lbs or 10Nm through the calibrated range of the tool or Digital B-RAD which enables the user to select exact torque values through the calibrated range as well as save common torque values that are used on a regular basis. Both options come fully calibrated and certified to +/- 5% with two 18V lithium Ion batteries, charger and carry case. Now with Digital Torque settings and Torque Ranges up to 3,000 FT.LBS! 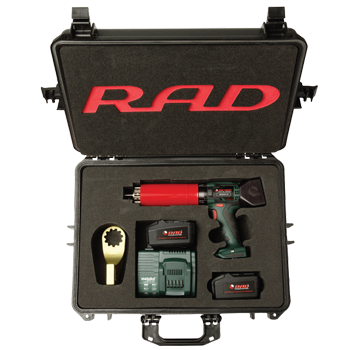 The new B-RAD Select battery series torque wrenches comes with two simple buttons to increase or decrease the value by 10 ft. lbs. 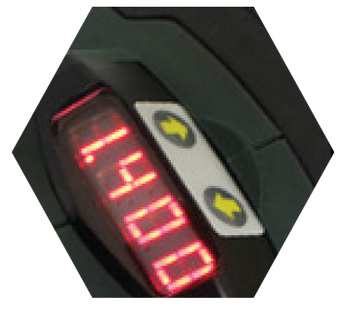 At the four-digit display the set torque value is displayed. 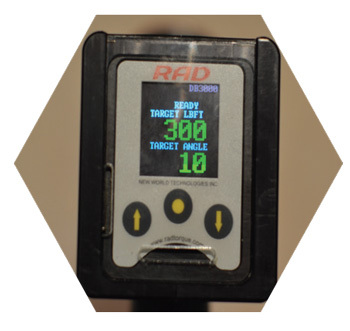 The B-RAD select remembers the last set torque value even after the battery has been removed. This will allow for Torque & Angle functionality and includes automatic reaction arm back off after a torque cycle completion. 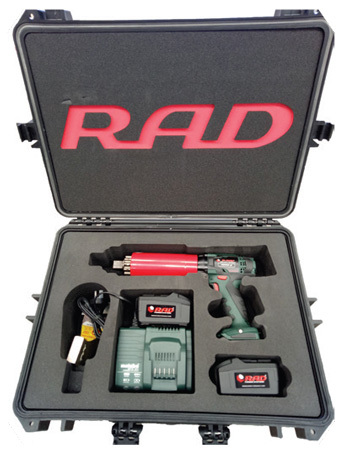 Digital B-RAD powered torque wrenches are the world’s first digital cordless, and lithium-ion battery tool on the market. With advanced patented technology containing digital display and single increment torque settings. The colour screen with keypad provides unmistakable visual LED indicator lights with user definable presets for ease of use.